Adventurous clarinettist and new music aficionado Chris Grymes brings his Open G podcast and performance series to National Sawdust in a continuing exploration of the new avenues that digital technologies are opening up for creating and sharing high-caliber music.This installment features the achingly beautiful music of Jeremy Gill, and includes the NYC premieres of Whitman Portrait (honoring the bicentennial of Walt Whitman’s birth) and Duo for Violin and Piano, and the world premiere of Lascia fare mi, composed in reaction to Bernardo Bertolucci’s infamous 1973 film Last Tango in Paris. Variant 6 is a vocal ensemble based in Philadelphia that gives virtuosic performances of early and new music. By performing rarely heard works, commissioning new works, collaborating with other artists and ensembles, and educating young musicians, Variant 6 seeks to advance the art of vocal chamber music in 21st-century America. In the 2018-19 season, Variant 6 will be yearlong artists-in-residence at Swarthmore College, performing alone and with the students, giving masterclasses, and workshopping music by young composers. The 2018-19 season sees two new commissions: one from Australian Wally Gunn with Mobius Percussion, and another from Massachusetts composer Greg Brown. The season also includes a world premiere of music by Kevin Laskey, the ensemble’s Kentucky debut, and concerts throughout the east coast. Variant 6 is active in educating young singers about ensemble singing and chamber music. In addition to its residency at Swarthmore College, the ensemble has worked with students from Cornell University, the University of Pennsylvania, and high school students from Maryland and Pennsylvania. In February 2019, the ensemble will work with students from the Pennsylvania Music Educators’ Association District 11 choral festival. All of the ensemble’s members maintain busy performing and teaching schedules in Philadelphia and New York, and regularly appear with many of the nation’s finest ensembles and orchestras, including The Crossing, Seraphic Fire, Roomful of Teeth, Trinity Wall Street, Santa Fe Desert Chorale, and the Philadelphia Orchestra. 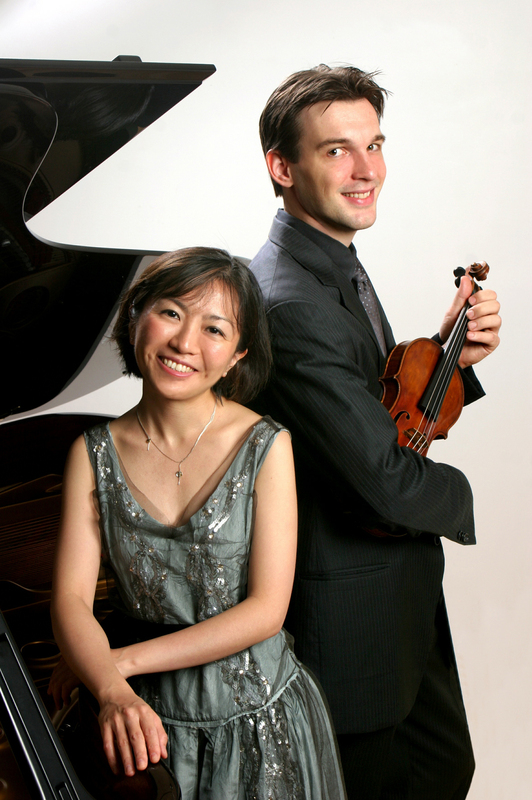 Comprising pianist Rieko Aizawa and violinist Jesse Mills, Duo Prism is a dynamic ensemble committed to the full spectrum of works composed for this instrumentation. In May of 2006, Duo Prism won First Prize at the Gaetano Zinetti International Chamber Music Competition in Verona, Italy, returned the following season for a tour of Northern Italy. In 2010, they became artistic directors of the Alpenglow Chamber Music Festival in Colorado. Based in New York City, the duo frequently collaborates with contemporary composers in addition to their exploration of the vast traditional repertoire. Both Aizawa and Mills are graduates of the Juilliard School. A native of Japan, Aizawa began her career with a US debut at the age of fourteen at the Kennedy Center and at Carnegie Hall with the New York String Orchestra conducted by Alexander Schneider. Praised by the NY Times for her "impressive musicality, a crisp touch and expressive phrasing", she has since established her own unique musical voice. Mills earned a Grammy nominations for his work on a CD of Arnold Schoenberg‘s music, released by NAXOS in 2005 and 2010. He is known as a pioneer of contemporary works, a renowned improvisational artist, as well as a composer. 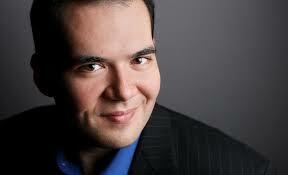 Mills recently made his concerto debut at Chicago’s Ravinia Festival. He can be heard on the Naxos, Koch, Centaur Records, Tzadik, Max Jazz and Verve labels. Praised by the New York Times for her “bright, sizable and expressive voice” Kristin Sampson’s 2017-18 season includes performances as Minnie in La fanciulla del West at Teatro del Giglio in Lucca, Teatro Goldoni Livorno, and Teatro Verdi in Pisa; the title role in Suor Angelica at Torre del Lago; and concert appearances in Italy and throughout the United States. Her engagements in the 2016-17 season included her Carnegie Hall debut as the soprano soloist in Beethoven’s Symphony No. 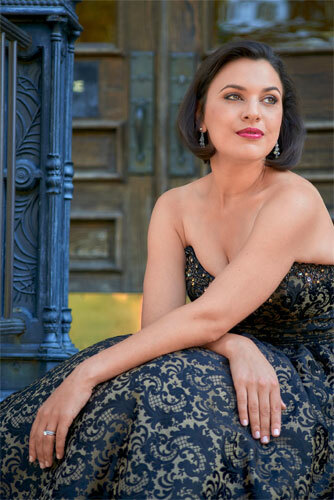 9 with the Park Avenue Chamber Symphony, Magda in Respighi‘s La campana sommersa with New York City Opera, Minnie in La fanciulla del West with Opera Carolina, and her debut at the Festival Puccini in Torre del Lago as Tosca. Her 2015-16 season included debuts at Potenza’s Teatro Francesco Stabile as Mimi in La bohème and at the New York City Opera as Tosca in the celebratory production that re-opened the company. Ms. Sampson is a two-time recipient of a grant from the Olga Forrai Foundation. 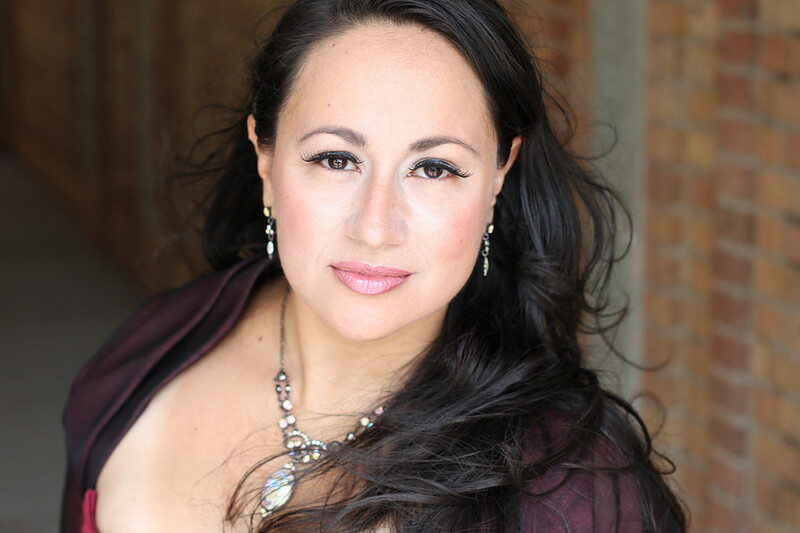 She has performed in the U.S. with the New York City Opera, Santa Fe Opera, Opera Orchestra of New York, Opera Carolina, Dicapo Opera Theatre, Augusta Opera, El Paso Opera, and the National Lyric Opera among others, and internationally with the Opera Society of Hong Kong, Armel Opera Festival, National Theater of Szeged, Teatro Municipal de Santiago, and Teatro dell’Opera di Roma. Recent highlights include a debut with Opera Philadelphia (2017-2018) in Lembit Beecher’s I Have No Stories to Tell You, Schoenberg’s String Quartet No. 2 with the Amernet Quartet at New Music New College, and her continued collaboration with Third Coast Percussion at the University of Chicago and the Miller Theater’s Portrait Series in New York. She sings the music of John Zorn at the Guggenheim Museum, JazzFest Sarajevo, and November Music in the Netherlands. Duo Cortona, Calloway’s duo alongside violinist Ari Streisfeld, appears in concerts and residencies at the College of Charleston, New Music New College (FL), Southern Exposure (SC), East Carolina University, the University of Madison, and the Gabriela Frank Creative Academy of Music. Ms. Calloway serves on the faculty of the University of South Carolina. She is a founding member of Shir Ami, an ensemble dedicated to the preservation and performance of lost and unknown Jewish art music. She can be heard on Albany Records, Tzadik Records, BCMF Records, and Toccata Classics. Dominic Armstrong has quickly established himself internationally as an artist of superb and distinguished musicality and characterization. 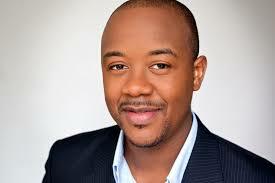 He is a winner of the 2013 George London Foundation Vocal Competition. During the 2018-2019 season, Dominic Armstrong essays the role of Macduff in Macbeth with Syracuse Opera. On the concert stage, he appears with the Florida Orchestra for Tippett’s A Child of Our Time, the Kaohsiung Symphony for a New Year’s concert, the Portland Symphony for Rachmaninoff’s The Bells, and the New York Opera Society for a concert at the National Gallery in Washington, D.C. An avid recitalist, Mr. Armstrong has maintained frequent performances of recital repertoire. Recent recitals have included the collected songs of Duparc with soprano Susanna Phillips, as well as performances of Brahms’ Die Schöne Magelone, and the Twickenham Festival, in a program featuring On Wenlock Edge, and To Julia. Jorell Williams is an American operatic baritone with a wide variety of experience from standard repertoire to premiere pieces. Praised for his “magnificent, rich-toned” baritone (The New York Times), Mr. Williams begins the 2018-2019 season with the American premiere of Frank London’s Cuban-Yiddish Opera Hatuey: Memory of Fire at Peak Performances Alexander Kasser Theater. 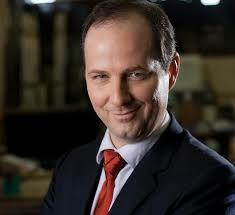 He returns to Victory Hall Opera in the role of Mr. Gobineau in Gian Carlo Menotti’s The Medium, and reprises the role of Hannah-Before in a Co-Production of Laura Kaminsky’s critically acclaimed chamber opera As One with American Opera Projects and New York City Opera at Merkin Hall in New York City. He will also debut with the Mimesis Ensemble at Carnegie Hall, and join the Brooklyn Art Song Society for Aaron Copland’s Old American Songs and the world premiere of David Ludwig’s Songs from the Bleeding Pine. A former resident artist of the American Opera Projects Composers and the Voice series from 2011-2014, Jorell is a much-in-demand interpreter of contemporary opera, and has created roles in several world premieres, notably: Hilliard and Boresi’s Blue Viola at Urban Arias; Matt Aucoin’s Crossing with the American Repertory Theater; John David Earnest’s The Theory of Everything with Encompass New Opera Theater; Anthony Davis’ Lear on the Second Floor at the University of San Diego; John Musto’s Bastianello with Rochester Lyric Opera; and workshops of Michael Torke’s Senna (2010), Nico Muhly’s Two Boys (2011), and Ricky Ian Gordon’s Intimate Apparel (2018) with The Metropolitan Opera. The Boston Musical Intelligencer recently credited bass-baritone Matthew Burns with “a rare combination of comic timing, musical ability and stellar acting.” Mr. Burns was seen on opera stages across the country in the 2017-2018 season, including the Center for Contemporary Opera and Los Angeles Opera in new works by Gordon Getty, a house debut at Michigan Opera Theatre in his role debut as Dr. Bartolo in Le nozze di Figaro, a return to Virginia Opera as Bottom in A Midsummer Night’s Dream, and debut with Lyric Opera of Kansas City in one of his signature roles: Dr. Bartolo in Michael Shell’s colorful and imaginative production of Il barbiere di Siviglia, which he has performed to great acclaim at Virginia Opera and Opera Omaha. Of his performance with Virginia Opera, the Washington Post said, “The evening’s real strengths proved to be...Matthew Burns as Dr. Bartolo, who in this production, and thanks to Burns’ strong performance, became the comic focus.” The 2018-2019 season includes Suplice in La fille du regiment with Opera Carolina, Dulcamara in L’elisir d’amore with Virginia Opera, and Dansker in Billy Budd with Central City Opera..
A master-interpreter of comedic roles, Mr. Burns is highly sought-after as Leporello in Don Giovanni, which he has performed with Utah Opera, Boston Lyric Opera, Austin Lyric Opera, Opera Memphis, Opera Cleveland, and Opera Omaha. He is also well-known for his performances of Don Basilio in Il barbiere di Siviglia (Dayton Opera, Florida Grand Opera, Sarasota Opera) and Figaro in Le nozze di Figaro (Virginia Opera, Opera Grand Rapids). 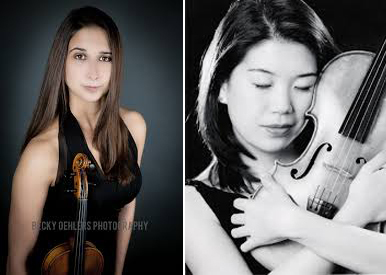 Grammy award-winning violinist Mandy Wolman is a Philadelphia-based violinist who performs music from the Baroque through the present, as a member of Philadelphia’s Baroque Orchestra Tempesta di Mare and as a freelancer throughout the region. An avid flamenco dancer, she spends her summers dancing in Spain. Beverly Shin made her solo debut with the Houston Symphony at age 17. She has performed at Bargemusic, the Isabella Stewart Gardner Museum, the Cape Cod Chamber Music Festival, the Banff Centre for the Arts, and at chamber music festivals in Brazil, Taiwan, and Newfoundland. She has performed with members of the Vermeer, Guarneri, Lark, Kronos, and Borromeo quartets, and has appeared as a guest member of the Avalon Quartet. She has appeared frequently with the IRIS Orchestra in Memphis, TN, the Chamber Orchestra of Philadelphia, the East Coast Chamber Orchestra, and A Far Cry. A dedicated advocate for new music, she has also appeared regularly with Boston Musica Viva, the Harvard Group for New Music, Boston‘s Callithumpian Consort, and the Penn Composers’ Guild. She has recorded several new works for New Focus Recordings. Beverly has been Assistant Professor at the University of Memphis and has held adjunct positions at University of Pennsylvania and Temple University. She holds a Doctor of Musical Arts from New England Conservatory. Described as “vividly colored” (New York Times) and “exhilarating” (Philadelphia Inquirer), Jeremy Gillʼs music has earned him residencies and fellowships with the Bogliasco Foundation (2017), Chautauqua Opera (2016), Copland House (2015), American Opera Projects (2013–14), and the MacDowell Colony (2013), as well as major grants from New Music USA (2015) and Chamber Music America (2011). In November 2015, Jeremy traveled to Havana, Cuba, as part of a select group of composers assembled by the American Composers Forum as the first US Artist Delegation to the Havana Contemporary Music Festival, a historic trip documented by ACF and National Public Radio. Recent major premieres include Ainulindalë, a tone poem for large orchestra based on JRR Tolkienʼs posthumous Silmarillion by the Harrisburg Symphony Orchestra (2018); Six Pensées de Pascal by the Philadelphia-based vocal virtuoso sextet Variant 6 (2018); Ladiesʼ Voices (a setting of Gertrude Steinʼs play of the same name) by coloratura Chelsea Miller, the 2016 Chautauqua Opera Studio Artists, and the Chautauqua Symphony Orchestra (2016); and an oboe concerto, Serenada Concertante, by the Dallas Symphony Orchestra, featuring principal oboist Erin Hannigan (2016). His chamber opera Letters from Quebec to Providence in the Rain, based on a play by Don Nigro, was premiered by Lyric Theatre @ Illinois and the Illinois Modern Ensemble in 2016; it was a finalist for the 2017 Dominick Argento Chamber Opera Prize and was later produced by UC Santa Barbara and the University of Alabama in Tuscaloosa (2017). Jeremy has enjoyed collaborations with conductors Jaap van Zweden, Steven Osgood, and Stuart Malina; the Parker and Dalí Quartets; pianists Peter Orth and Ching-Yun Hu; singers Lucy Shelton and Jonathan Hays; and major chamber music presenters including the Chameleon Arts Ensemble of Boston, Dolce Suono Ensemble, Network for New Music, and Market Square Concerts. He is currently composing a four-hand piano concerto to premiere in the summer of 2019 by pianists Orion Weiss and Shai Wosner and the Chautauqua Symphony Orchestra under JoAnn Falletta, with subsequent performances by Anna Polonsky, Orion Weiss, and the Buffalo Philharmonic Orchestra. 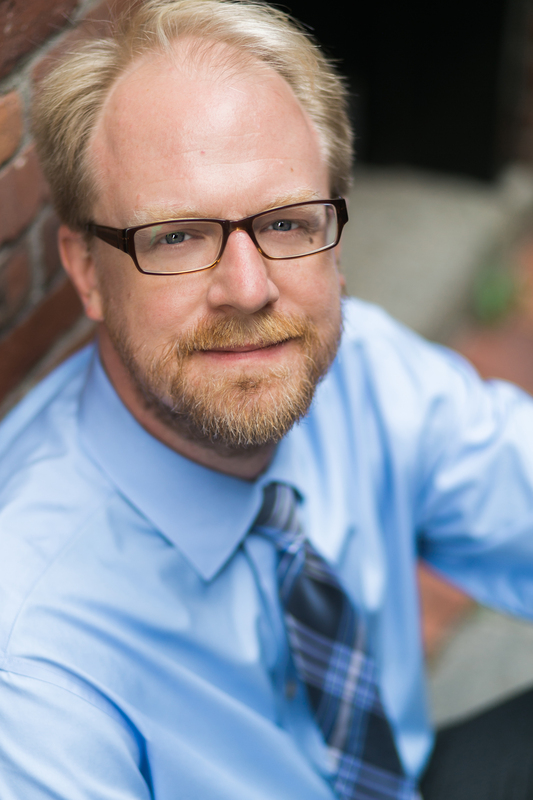 In 2017, Gil Rose and the Boston Modern Orchestra Project released the first recording of Jeremyʼs orchestral music, including Before the Wresting Tides (2012), Serenada Concertante (2013), and Notturno Concertante (2014), featuring Rubinstein-prize winning pianist Ching-Yun Hu with the Marsh Chapel Choir, oboist Erin Hannigan, and clarinetist Chris Grymes. Gramophone Magazine called this “a very warmly recommendable disc”, to which HRAudio added, “Jeremy Gill shines with three unique concertos in this latest release…and dissolves limitations of time, space, and consciousness in seductive, dreamlike flights of fancy”, while New Music Buff raved, “The composer’s ability to utilize such a large orchestra yet still produce lucid textures is a mark of genius”. In 2015, the Grammy-winning Parker Quartet released Jeremyʼs hour-long Capriccio on the Innova Recordings label. This recording garnered extensive critical acclaim: Classical Minnesota Public Radio called it “a work to return to often, for fresh insight and stimulation”, while the San Francisco Chronicle called it “a varied and kaleidoscopic collection of vivid miniatures . . . an ebullient cataloging of the various textural and rhetorical forms that writing for string quartet can take”. In Capriccio, “Jeremy Gill conveys to us his own special sensibilities as a composer of almost unlimited breadth, a master stylist who knows virtually no boundaries in his poetic collocation of past, present and future”, remarked Gapplegate Classical-Modern Music Review. The Big City Blog included Capriccio on its list of top ten Best Classical Recordings of 2015, and Jazz da Gama called it simply “one of the most remarkable opuses in chamber music this year”. Deemed “a fine pianist” by the New York Times, Jeremy regularly appears as a pianist and conductor in music of his own and by his contemporaries. He has been a featured performer at major venues including Merkin Hall, National Sawdust, the Mansion at Strathmore, Calderwood Hall at the Gardner Museum, and the Museo dʼArte Orientale in Genova, Italy. Jeremy has conducted over 35 world premieres featuring artists such as Eric Owens, Ching-Yun Hu, Evan Hughes, Lucy Shelton, and Randall Scarlata, with ensembles including the Dolce Suono Ensemble, the Mendelssohn Club of Philadelphia, and Network for New Music. During the 2016–17 season, he conducted the Boston-area premiere of Missy Mazzoliʼs Song from the Uproar, featuring the Firebird Ensemble and mezzo-soprano Abigail Fischer, and a concert of Nico Muhlyʼs recent works that featured countertenor Anthony Roth Costanzo, both at the Isabella Stewart Gardner Museum under the auspices of Beth Morrison Projects.